Eyebrows were raised when I told some Italian friends that we were travelling to Modena for a weekend trip. Although Modena is renowned in Italy for its liquid gold or Aceto Balsamico, Parmigiano Reggiano, salumi such as the culatello and freshly made pasta many would probably skip a visit to this buzzing city unless they are either Ferrari fans or else heading for a gastronomic experience at Massimo Bottura’s Osteria Francescana (see review here) or his new casual brasserie Franceschetta58. Why, did they ask, are you heading to Modena, when you can visit other places like Bologna, Ferrara, Parma or Verona for example. Modena is a very welcoming city with a buzzing historical centre which turns to life in the evening as the streets are jam-packed with people or flocking the many bars and cafes that are dispersed around. On a warm evening, crowds spilled onto the streets drinking cooling drinks such as a glass of the regional Lambrusco, which tastes so much better on location. Here you will also find what is becoming a new trend in Italy, a choice of many Italian artisan beers. On arrival we headed to Caffe Concerto (Piazza Grande), which is perfectly located in the Piazza Grande overlooking the splendid Romanesque cathedral of Modena. On a beautiful day, the terrace is filled with people sipping espressos in the morning or having an aperitivo in the evening. The Caffe also has a great interior which must look particularly welcoming in weekends. The restaurant menu is extremely interesting with focus on quality ingredients and the staff were very flexible given we ordered food for the children despite the fact that the restaurant was closed for a private function. This Caffe is a great place for people watching and is also where most seemed to hang-out before heading to the more trendy area around Piazza della Pomposa with its thriving bars and cafés. 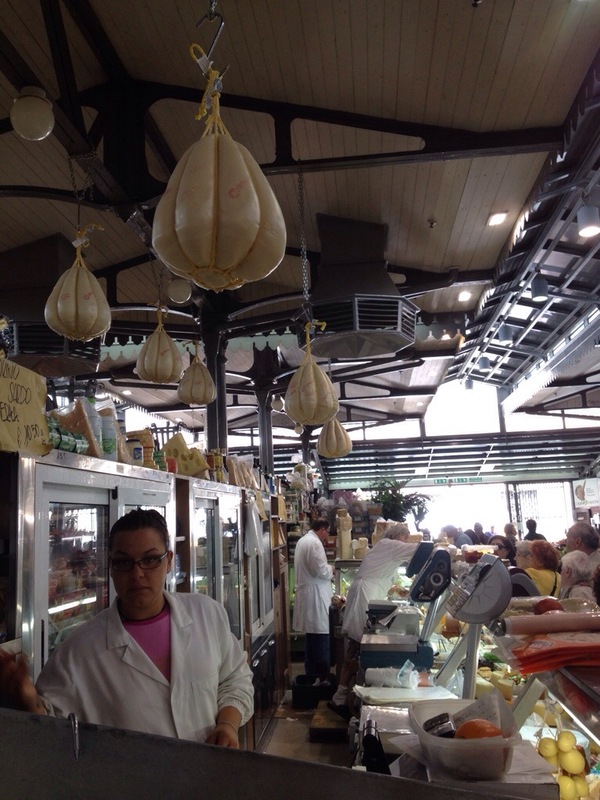 Modena also houses a splendid food market, Mercato Albinelli, (Via Luigi Albinelli). When we visited the market, it was packed with locals making their daily shopping. The fare on offer was impressive, from different aged Parmigiano Reggiano to culatello, freshly made pasta to vegetables, fishmongers and meat shops as well as wine merchants selling top quality Italian wines from neighbouring regions. The shopkeepers are geared for tourists. Many things can be vacuum packed so if you are heading there make sure to leave space in your suitcase. Like other Italian cities, Modena is also a great place for ice-cream. We came across Bloom Gelato (Via Farini), a splendid ice-cream parlour run by a passionate young ice-cream maker who is obsessed with quality ingredients. His ice-creams were sublime and he tasted some original flavours such as ricotta with an orange marmalade from Sicily for example. If you want a great pizzeria, you should look no further than Pizza Erasmo. The place is full of locals and apart from the traditional pizzas also serves some special ones including the one I tried with straciatella di burrata and prosciutto crudo di Parma aged for 24 months as well as fior di latte. A trip to Modena is not complete without a visit to Maranello, just a few kilometres away from Modena which is the home to the Ferrari factory as well as the Ferrari museum with a permanent display of over 50 cars. The centre of Modena is full of boutiques. 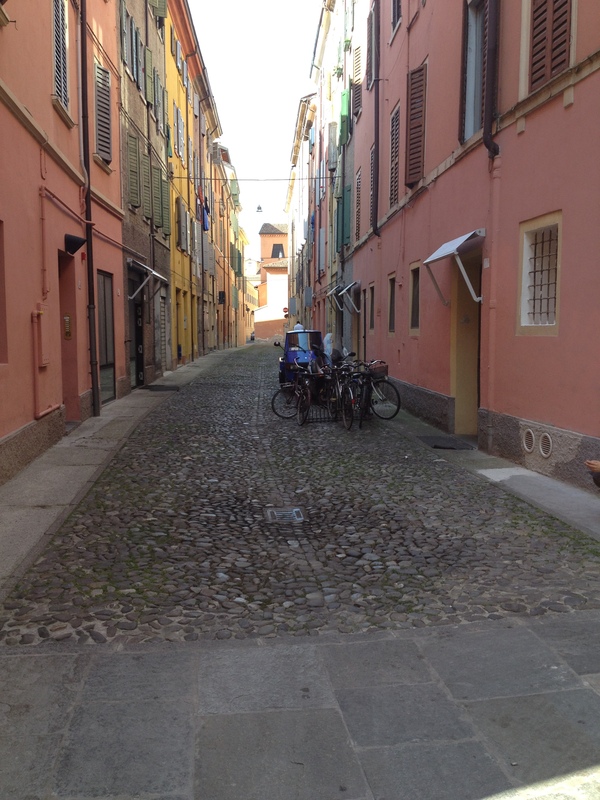 A day trip to Bologna or Parma is only 45 minutes away by car. We stayed at the Hotel Cervetta 5 (Via Cervetta). This is a nice 22-room hotel with an unbeatable location just next to the main square and cathedral and the Mercato Albinelli. Rooms looked better online but still pleasant and the hotel includes free Wi-Fi and a daily continental breakfast.